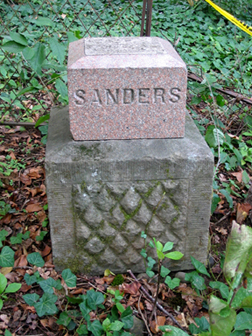 Sanders is a small, forgotten cemetery in Molalla, Oregon. It's named after the Asa & Abby Sanders Family and several members are buried there. TEPS adopted this forlorn, overgrown site in 2003 as a group project for many reasons. We want to contribute to and be involved with our community and Molalla is just south of our headquarters in Oregon City. Working to clear the cemetery of overgrowth and debris is a way our members get to know each other better so we can work well as a team, as well as get to know other concerned citizens and paranormal groups in the area who help us out from time to time. Pursuing genealogical information on those buried there is a good way to learn how to perform research on the people, houses and properties we investigate. 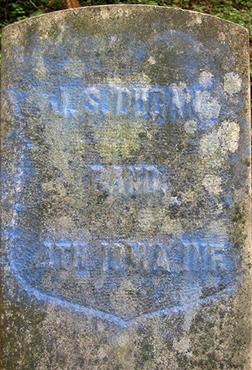 Base of Asa & Abby Sanders' tombstone. The obelisk that was once atop it is lying nearby. TEPS is not only reclaiming Sanders from the forces of Nature, we hold Cemetery Safety Classes here. Kathryn has seen a man in a black hat and coat (similar to what you always see Abe Lincoln wearing) walking in one area of the cemetery where there are no longer any headstones. She believes he may be trying to direct us to his grave. 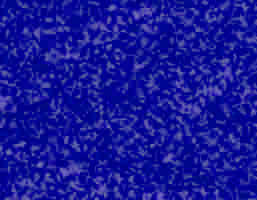 We are hoping another group will take over this project. 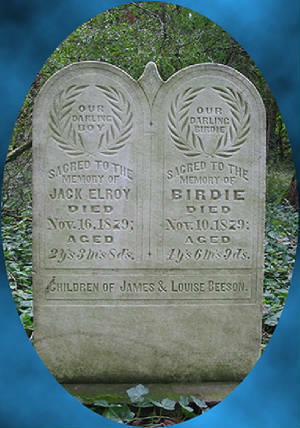 The most beautiful stone in the cemetery and, amazingly, not damaged in any way, is for two children who died six days apart. It appears to be missing portraits, however; there are two oval-shaped spaces carved on the other side where portraits could be inlaid. We have no way of knowing if they were never placed at all, or stolen. One of the many puzzles at Sanders Cemetery is the fact that an Iowa Infantry Union soldier is buried there, apparently without any ties to the others. With only his short and sweet tombstone epitaph to work from, it was discovered using amateur genealogy skills that his name is John S. Dugan and he fought in the Civil War as a Private in the 4th Iowa Infantry, Music Company. and enlisted three times between October 1861 and June 1863. He was a bugler. He was admitted to the Oregon Soldiers' Home in 1898 at the age of 73, "disabled as follows: Disease of the eyes and heart and by reason of age." 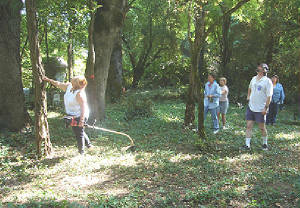 August 20, 2006: TEPS members assessing another tree for safety. 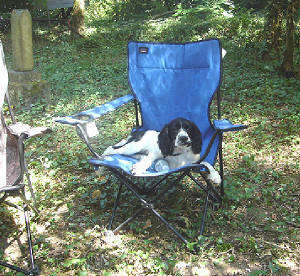 Three-month old Kiarie [ky-ree] taking a well-deserved break from supervising the August 2006 Clean-up. again for an exact date and time.